Valencia has become a very popular city in recent years and Valencia sightseeing as well. Many tourists visit Valencia to enjoy the pleasant weather and all the beauty that the city has to offer. Valencia is a great city to visit all year round. So are you planning on going to Valencia soon, but have no idea which sights you would like to visit? With this article we will guide you along the way. The sights of Valencia that you have to visit can be found below. Valencia sightseeing, there are plenty of sights to find in this beautiful city. 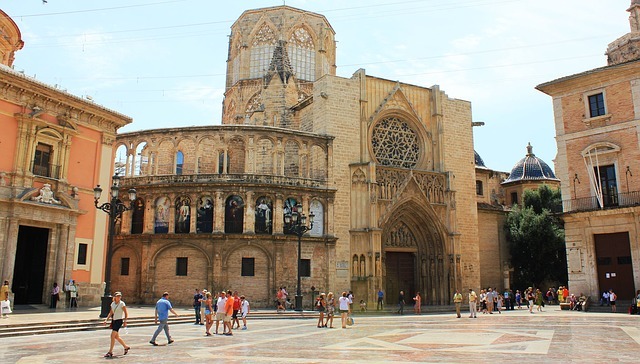 Most of these sights can be found in the historic center of Valencia or near Jardin del Turia. Some of them are just a bit further from the center, but they are also fairly easy to visit by bus, metro and even by bike. Of course, the best known sight is Ciutat de les Arts i les Ciències (the City of Arts and Sciences) Type “Valencia” on Google and this is the first thing you’ll see. Ciudad de las Artes y las Ciencias was designed by Santiago Calatrava, a world-famous Spanish architect. The building complex can be found in the Jardín del Turia (Turia park). Ciudad de las Artes y las Ciencias consists of six different buildings and it will not surprise you that this futuristic building complex owes its fame to the remarkable architecture. You can walk through the city gardens, conduct small scientific experiments in the Science Museum and visit the opera house. A river that often flooded so the government decided to make it a park. This park covers about 9 km and there are always people in the park. You will encounter many walkers, cyclists and runners. It is a beautiful park where you will see all kinds of different plant species and the most beautiful flowers. There are many bridges all over the park, the Puenta de las Flores (flower bridge) is a well-known landmark. For the Palau de la Música, a concert hall (where there are also concerts on the regular and exhibitions) you will find a beautiful pond with fountains. Enough reasons why the Turia park is certainly worthwhile to cycle or walk through during your time in Valencia. The central market hall is an indoor market in the old center of Valencia. 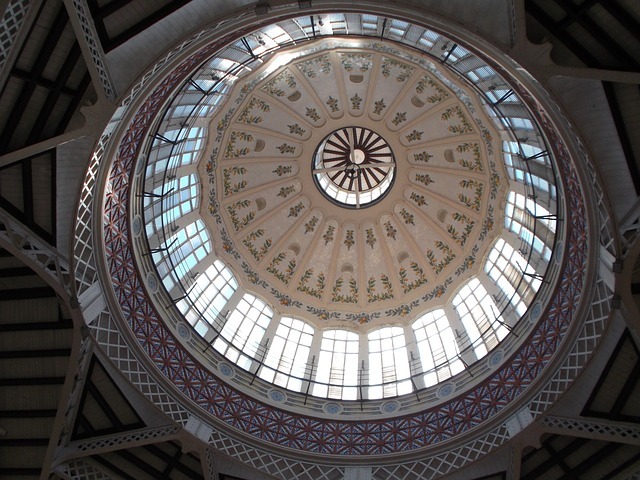 This market hall was designed in Art Nouveau style at the beginning of the last century. For the locals, the market hall is a popular place to get daily fresh products such as vegetables, fruit, meat, fish, herbs and cheese. The building has a beautiful architecture both on the inside and outside and is completely built out of glass, iron and ceramics. The Plaza del Ayuntamiento is the largest plaza of old Valencia. A beautiful large plaza with a beautiful fountain. At the plaza is the town hall with a graceful facade, the balcony, the marble staircase and a ballroom full of mirrors which makes it absolutely worth a visit. Also located at the plaza is the post office which has a beautiful ceiling. Located at the plaza you have several restaurants and shops where you will enjoy yourself. Do you get hungry after a day of sightseeing? Look at our list of the best restaurants in Ruzafa. The cathedral de Santa Maria is located in the center of Valencia. The cathedral was built between 1262 and 1356. The cathedral was built in the Romanesque, Gothic and Baroque styles. The outside of the cathedral looks beautiful but you should also have a look at the inside because that is definitely worth it. The altar has many colors and gold which will immediately attract your attention. If you are in Valencia on Thursday you should definitely visit the cathedral because at 12 o’clock there will be a special ritual. A water tribunal (El Tribunal de las Aguas) is then held at the Puerto de los Apostoles (the apostle door). This is the oldest legal system in Europe. During this tradition, the judges of water rights are pronounced here by eight judges. This list for Valencia sightseeing will definitely be able to contribute to a wonderful and impressive time in Valencia! 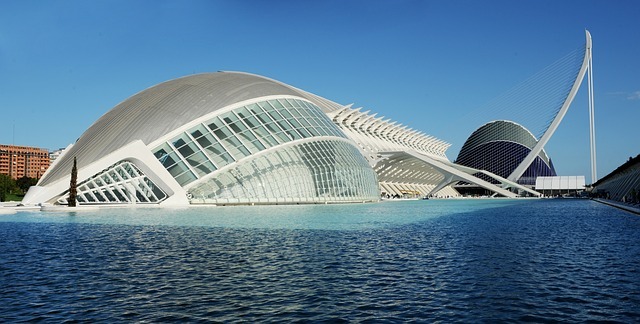 But in addition to these 5 places of interest, Valencia also has a beautiful beach, do you want to know more about this? Then you should read our blog about Valencia beach. Talk to locals by learning Spanish! Book your Spanish course in Valencia now. Academia La Pagoda is a private study centre that provides a wide range of services related directly with the education and formation. AIP Languages Institute is a Spanish language school which gives you the opportunity to learn the Spanish language and culture. Since 1995, Costa de Valencia, escuela de español has been a Spanish academy dedicated to the teaching of Spanish as a foreign language. At Don Quijote you'll be able to learn Spanish with our passionate and experienced teachers right in the center of the city. Our commitment with the student is based on our excellent educational quality, and we offer the best of us to achieve your highest satisfaction and motivate you to keep studying and learning a new language. Enforex Valencia is spacious and bright, perfect for learning Spanish. You’ll make friends with the other international students inside and outside of the school. With Escuela El Tándem you will find that our courses are varied. Tailored to your needs and your level. Españolé International House Valencia is a friendly Spanish school in Valencia, Spain, that offers Spanish courses of the highest quality. In Hispania, students will find a home where they can learn Spanish, learn about Spanish culture while making friends from around the world. School located in the city historic centre. Intereuropa school of Spanish is located in the historic heart of Valencia, in the Plaza del Ayuntamiento (Town Hall Square). Route 66 Idiomas is an Instituto Cervantes accredited language school located in the heart of Valencia city centre. Taronja School is different! Fun, young minded, colourful, unique! Taronja school offers the highest standards of teaching combined with an amazing activity programme! 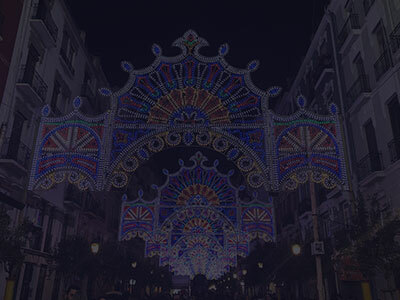 Search, compare and book your ideal Spanish language course in Valencia on Suspanish.com.